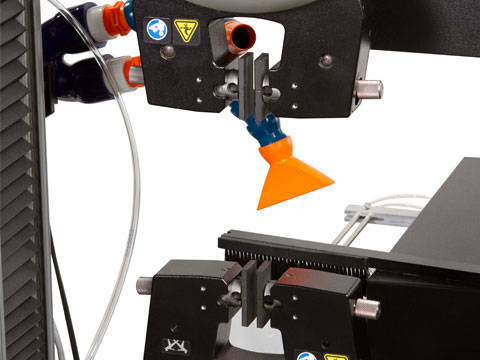 The Instron® Testmaster Automation System, configured to perform unattended tensile testing of biomedical cord and yarn specimens, provides an ideal solution for high-volume tests of medical sutures. 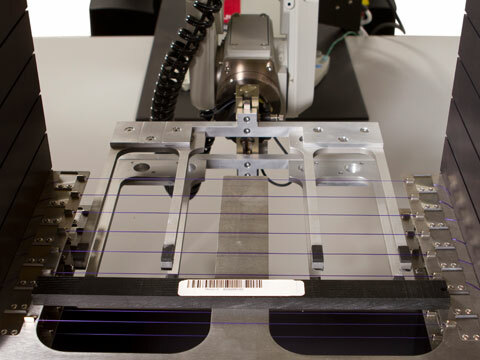 Designed to accommodate specimens of varying lengths and thicknesses, the system utilizes barcode labels to pass specimen information and testing specifications to the Testmaster2 Automation Control Software. 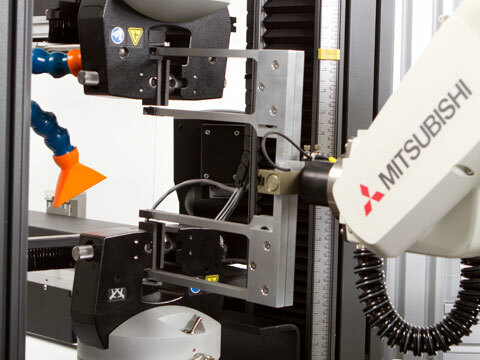 A typical automated test sequence includes the following steps: The robot retrieves a batch separator with a barcode label affixed from a rack, scans the barcode, and downloads the specimen and testing information to the Testmaster2 Automation Control Software. The separator is then discarded into a bin and a specimen is retrieved from the racks and placed into the tensile frame and tested. After the test, the specimen is removed via a specimen removal device at the back of the frame, which utilizes a low-noise, industrial vacuum to aid in full removal of the tested sutures from the grips area. 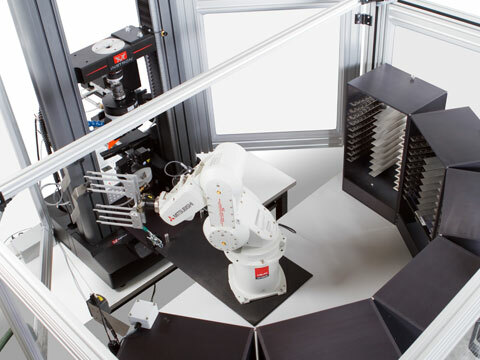 The robot then inserts the next specimen to be tested.